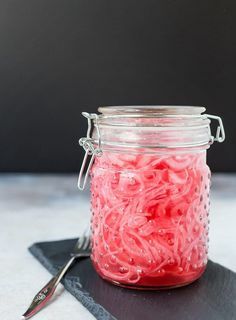 Learning how to pickled red onions is SO easy - it only takes five minutes! You'll love having a jar in your fridge for tacos, avocado toast, and more! Get the EASY method on RachelCooks.com!